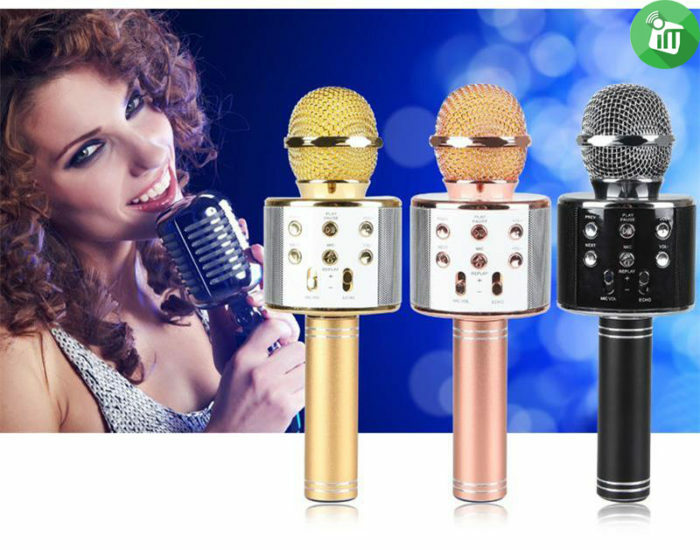 1800 mAh battery up to 6 hours of singing, enjoy the smart phone APP KTV karaoke effect. 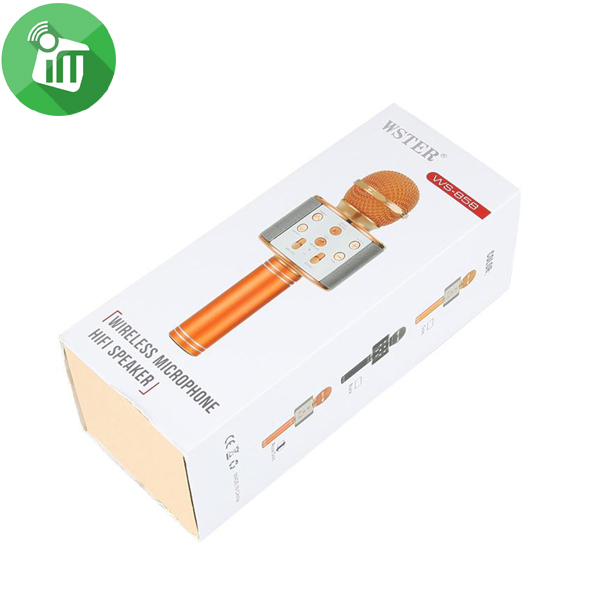 iKaraoke WSTER WS-858 Wireless Microphone and Hifi Speaker,Karaoke microphone with a built-in powerful single speaker, professional control keys: high and low control, music volume/external source, microphone volume, echo effect. 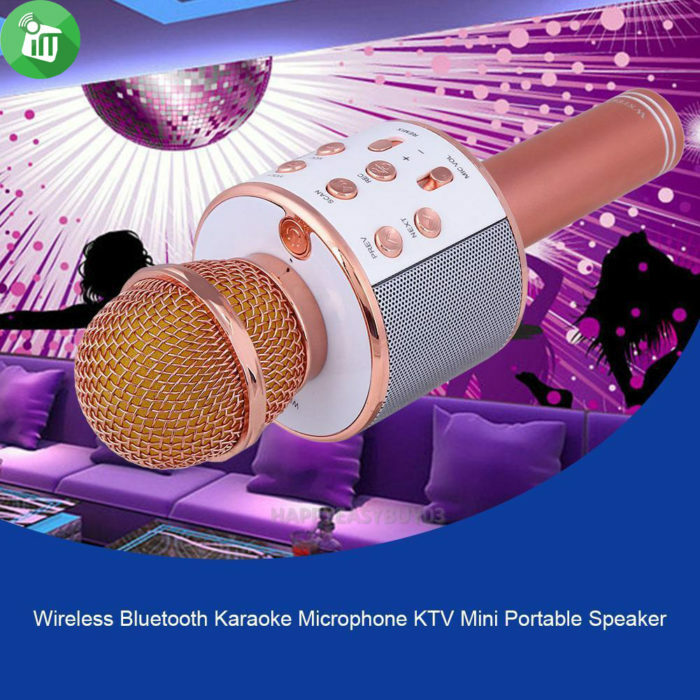 Connection to karaoke or smartphone via Bluetooth to use songs as backing tracks. through the internal SD card reader, it’s possible to have tracks available for both listening to music and as a basis for the use of the microphone. 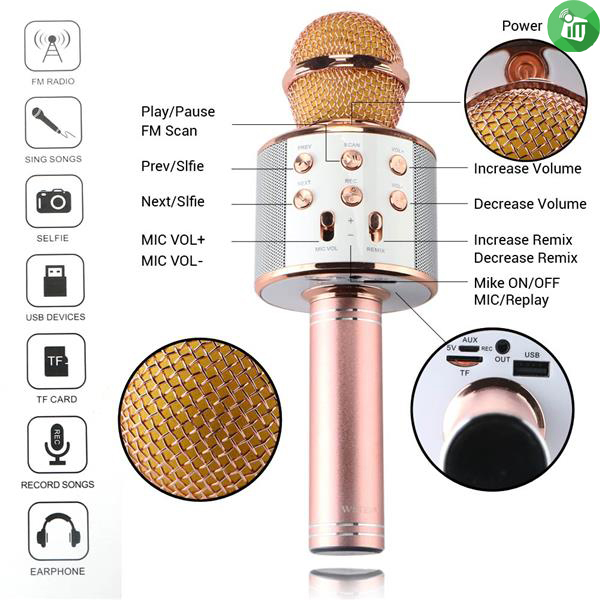 With micro USB port for charging, via the same port it is possible to also-use the microphone as a speaker. 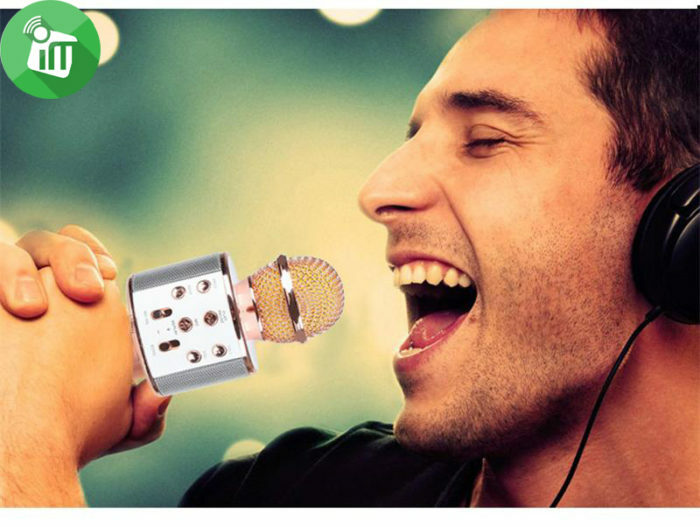 Jack 3,5 mm for connecting headphones or earphones. With FM radio, inserting the necessary cable that acts as an antenna selfie function. 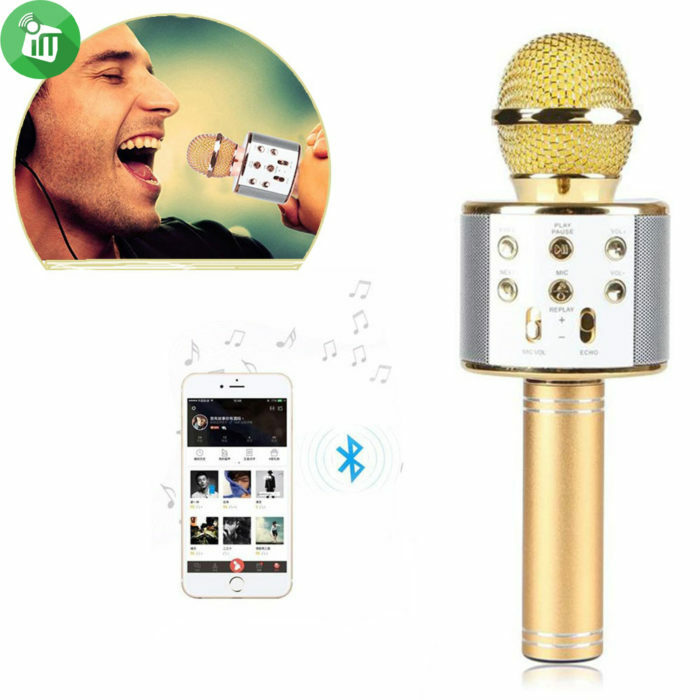 After downloading the app from the market (iOS, Android), it’s possible to make recordings and share them on internet on your own smartphone. Included mini-USB cable for power data. 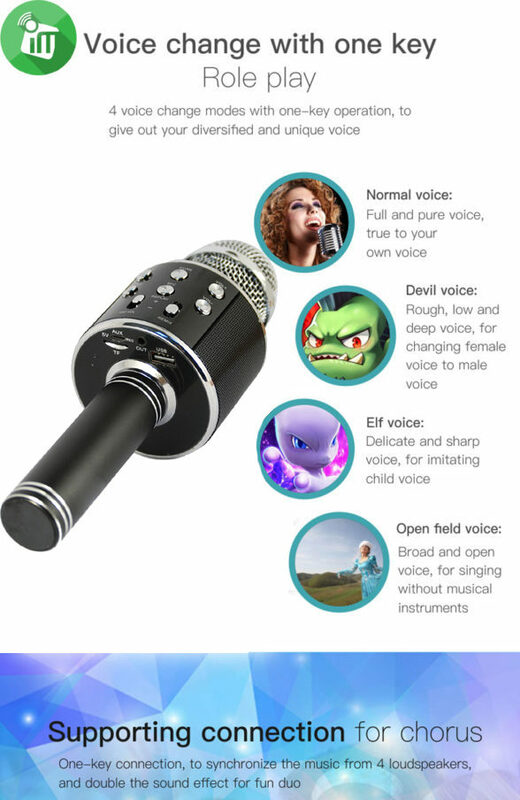 Adjust sound: adjust the sound volume of mike and the reverberation to suitable level. 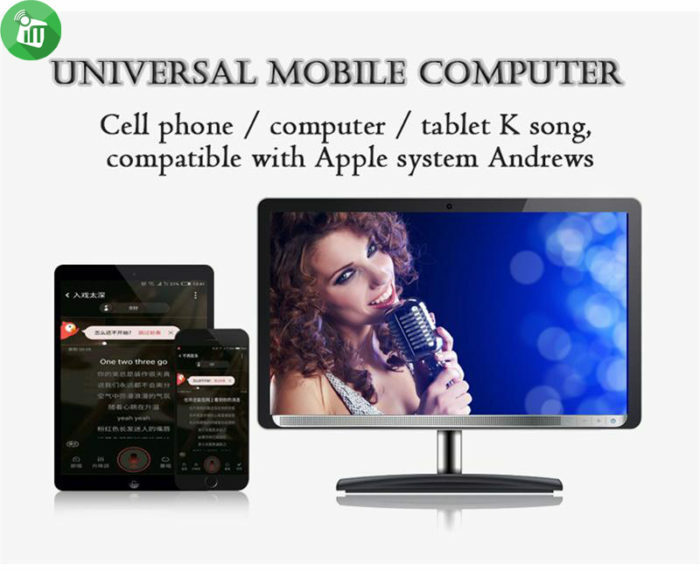 open the Karaoke software in the mobile phone, such as: USING. 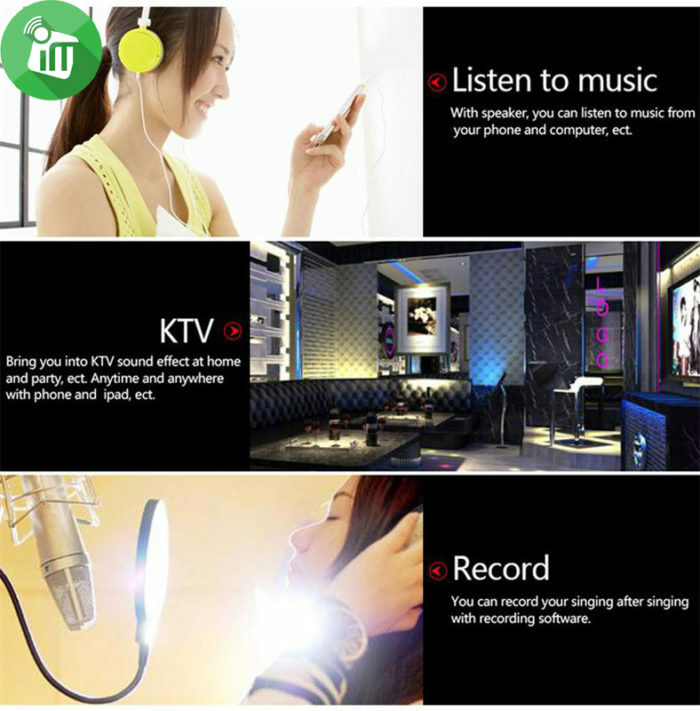 Kugou Music or other recording APPs, select your favorable song, record the song according to the above mentioned singing method. Note: 4.2.2 or higher version for Android system, 6.0 or higher version for ios system it doesn’t support other versions temporarily. It doesn’t support the mobile phone which has the independent and solid photograph button.